What’s the real cost of websites? When you factor in hosting, hiring a designer, hiring a developer, paying monthly fees, buying a theme or template, buying plugins…the costs can add up quickly. 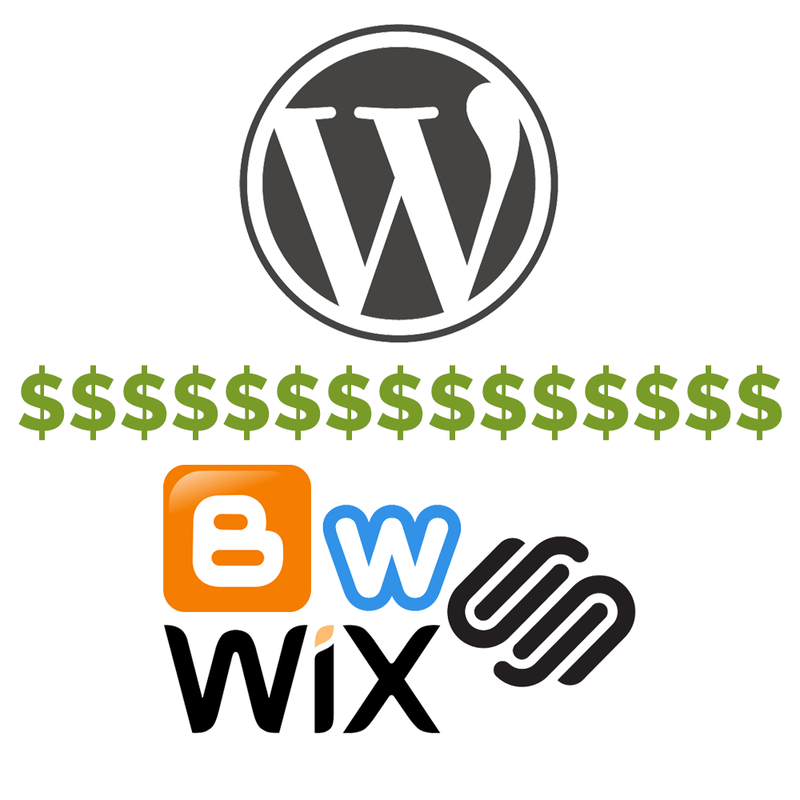 In this article, we will discuss the real cost of both WordPress and Website Builders. Let’s start by saying that WordPress is FREE. Free is good! But that’s not the real cost of a WordPress website. Here’s a breakdown on some of the costs you can expect. And then there’s the whole social media marketing piece, content creation and Search Engine Optimization that we won’t go into. As you can see, the costs can vary widely. However, because WordPress is so flexible, the price tag associate with your website can flex with your budget. WordPress is really a cost-effective way to create a website, but the prices can also skyrocket pretty quickly if you need to hire a designer and/or developer to help. That’s why it’s important to ask for an estimate and to understand your total cost before signing up with a web development firm. We provide an accurate estimate to all our clients before beginning work and sometimes we even give money back at the end of a project. Not quite ready for an estimate? Check out our website cost calculator. We highly recommend you don’t skimp on your website budget since it is the first impression many of your potential clients will see. If it isn’t loading properly, is slow, looks chaotic, has strange functionality or looks cheap, your clients will jump over to your competition. Costs can vary quite a lot with WordPress, but to get the most out of it, you can expect to pay a professional. That is why we give WordPress a 5 out of 10 for cost. Each Website Builder has its own pricing structure, but we’ll give you general guidelines on how they stack against WordPress when it comes to cost. One thing to keep in mind is theoretically, Website Builders do not require an expert so you can save money there. However, we have found that many people still pay a professional designer to create the design and then implement it using a Website Builder. The real cost can flex depending on the route you choose to use with a Website Builder. There really is no getting around it, Website Builders are by far more cost effective for starting a website. That is why Website Builders get a 10 out of 10 for cost.